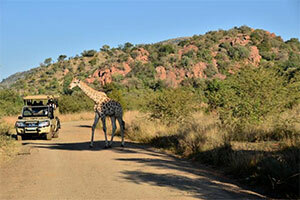 Tour features: Sun City, Valley of the Waves, Pilansberg National Park. Wild and wonderful, that’s for sure. The day begins early with a professionally guided, closed vehicle game drive into Big Five country: the Pilanesberg National Park. Who knows which of the Big or Little Five you’ll see? Close neighbor to this superb natural reserve, is Sun City, one of South Africa’s most popular theme resorts, and you’ll have full access to the casino for a little flutter or two. 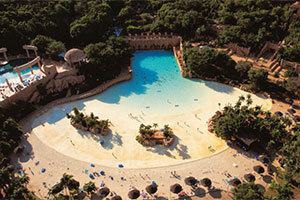 For the really curious, you may want to visit the Valley of the Waves & Swimming Pools! 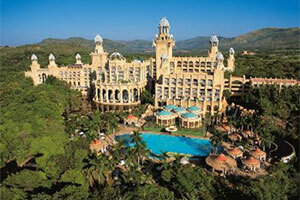 (Own account +/- R190.00pp) or have a guided tour of the lost city (Own account +/- R175.00pp). It’s a fabulously relaxing day…and might even prove very profitable for some! 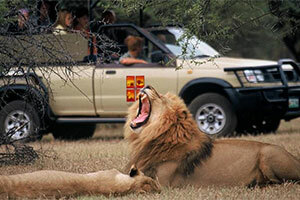 Included Transportation, sightseeing as per itinerary, entrance fees, services of a registered English speaking guide. Comments This combination of two worlds allows you to experience nature and a man-made splendor – African wildlife and the vibrant Sun City!